that extra landscape you need. 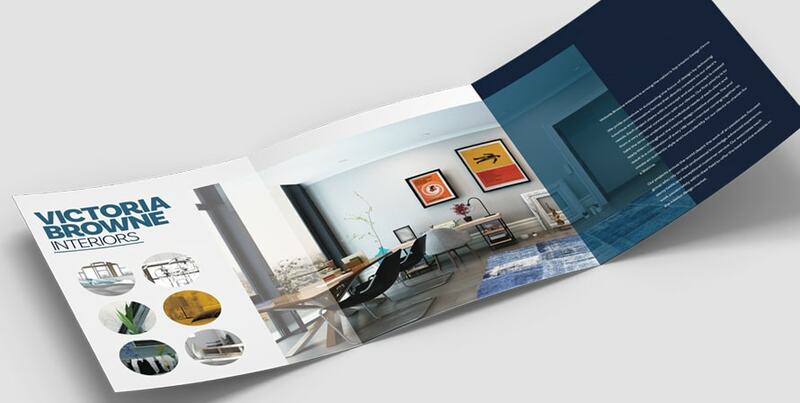 Brochures are conveniently sized to accommodate both images and text and are ideal for a variety of industries and marketing applications. Brochures are printed on one of two premium stocks. Both the 100# Text, a thinner stock, and the 11 Pt. Cover provide a professional look and feel. Choose from four different Finishes. UV Coating and Standard Gloss are conventional options. Spot UV and Satin Flood provide a pro look. Brochures provide ample space for large photos and text and are ideal as Takeout Menus that your customers will hang on to and reorder from. 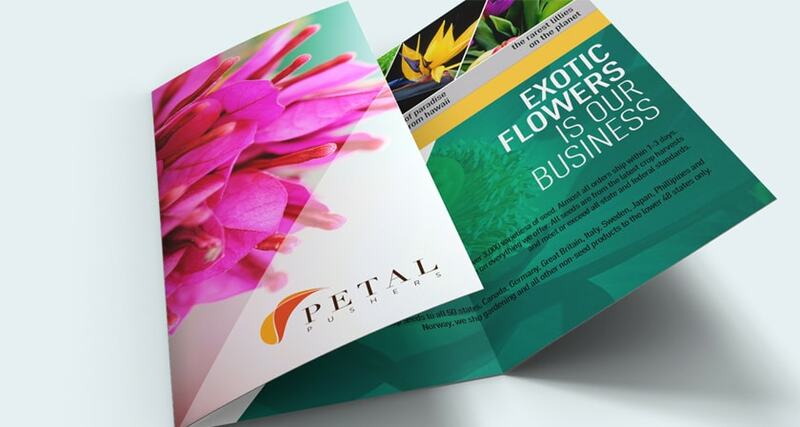 Provide information to your community, associates or potential buyers with Newsletter Brochures. Conveniently sized for retention. Spas, repair shops, and other small businesses that provide services utilize brochures to list options and pricing at-a-glance for interested customers. Cultural, religious and community events can benefit from Brochure printing by distributing programs to attendees. Ideal for plays and recitals. 100# Text paper stock has a substantial weighted feel, but is still flexible to the touch. Its weight is the equivalent of five sheets of regular printer paper. 11 Pt. Cover stock is a heavier paper that retains crisp fold lines and holds its shape when unfolded. It is durable and withstands handling without creasing. Also known as No Coating, Standard Gloss still retains a slight gloss, and allows for writing directly on your print with pencil, pen or Inkjet printer. In order to make your print buying process as easy as possible, we several options of our most popular sizes as standard products. 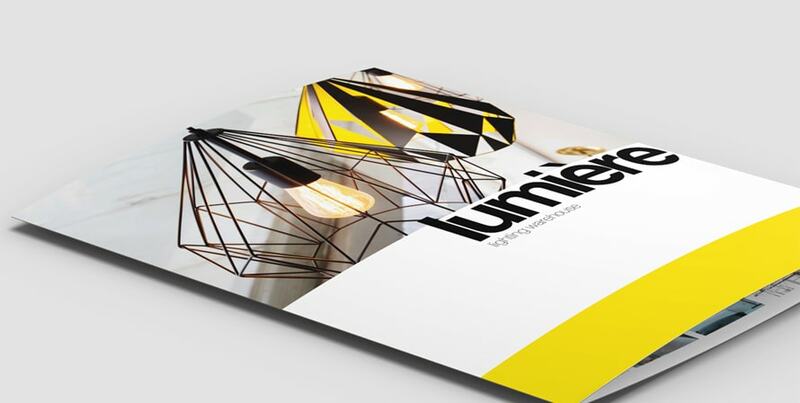 The 8.5x14 Brochure offers a unique way to show off your business. If you are interested in a size different than that displayed in our Brochures section, please fill out the Custom Quote Form or contact us at 800.433.9298 so that a customer service representative can provide you with proper pricing on your order. 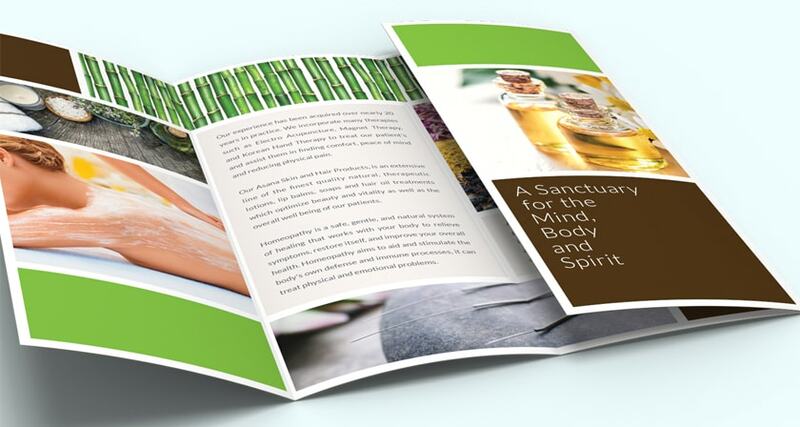 Brochures and posters are printed on our standard 100# Text Gloss Stock or you can upgrade to our 11pt Thick Cardstock. By selecting Full Color Both Sides, this means that your piece will be printed on both sides in full color (photo quality CMYK printing). 99% of ClubFlyers.com print orders are printed with the Full Color Both Sides option. If you are not clear on our color options please contact us at 800.433.9298 so that a customer service representative can provide you with further information. ClubFlyers.com offers several different folding options to choose from to finish your brochure. 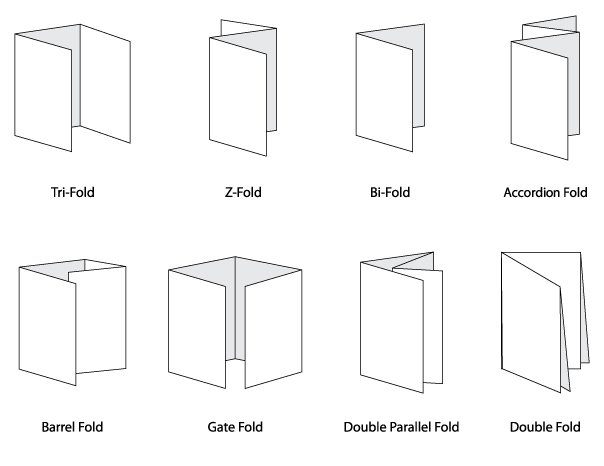 Our 11 x 17 Brochure Template package will help explain how to set up your files to fit perfectly into one of these types of folds. If you are looking for a tear off panel you can select a straight perforation. Typically, this is to allow a fill out card to be removed. Use these templates and specs to guide you. Extend all images to farthest edge of the template. The template size is 8.75 x 11.25". This line shows exactly where your card will cut. The trim down size is 8.5 x 11". Type cannot extend past this line. The measurement is 8.25 x 10.75". Extend all images to farthest edge of the template. The template size is 8.75 x 14.25". This line shows exactly where your card will cut. The trim down size is 8.5 x 14". Type cannot extend past this line. The measurement is 8.25 x 13.75". Extend all images to farthest edge of the template. The template size is 11.25 x 17.25". This line shows exactly where your card will cut. The trim down size is 11 x 17". Type cannot extend past this line. The measurement is 10.75 x 16.75". Extend all images to farthest edge of the template. The template size is 25.75 x 11.25". This line shows exactly where your card will cut. The trim down size is 25.5 x 11". Type cannot extend past this line. The measurement is 25.25 x 10.75". Available with three different folds, 8.5 x 11” Brochures can showcase lots of photos and information about your business, products, and services. 8.5 x 14” Brochures unfold into a large piece that can double as a newsletter, advertisement, or an event program. Available in eight different folds. Available in eight different folds, these large brochures suit various uses. Great as informational material, product branding or event marketing swag. When you want to illustrate a product or business with large photos and lots of text, 25.5 x 11” Brochures are large and make a serious visual impact. Get the word out about your new product launch or amazing sale. A fantastic way to let the locals know all about you! Choose from different sizes, perfs and shapes.